Please join us at the 2018 Reunion in Dayton, Ohio, in conjunction with the USAF Museum rollout of the Memphis Belle. The Memphis Belle rollout is May 17th and the banquet will be May 19th. 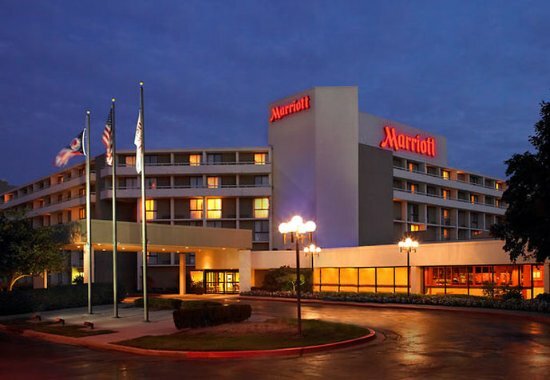 Our hotel is the Marriott at the University of Dayton. Anyone who secures one of the group-rate rooms will be required to fill out the registration form, including registrations fee, and send it to Jody Kelly (njkelly@roadrunner.com) of the 91st BGMA by March 10, 2018. Failure to do so will result in the room being canceled. April 20th update - - there are No rooms left. If you are associated with the 91st BG or are a WWII veteran and wish to attend, contact Mick Hanou. Check out information about the Memphis Belle event at the National Museum of the U.S. Air Force webiste. Contact Mick Hanou at mhanou@comcast.net if you have any questions. All Members in attendance will receive, FREE, a copy of We Served With Honor, a 91st SRWA Challenge Coin, and a 91st SRWA shirt (current retail value = $85). 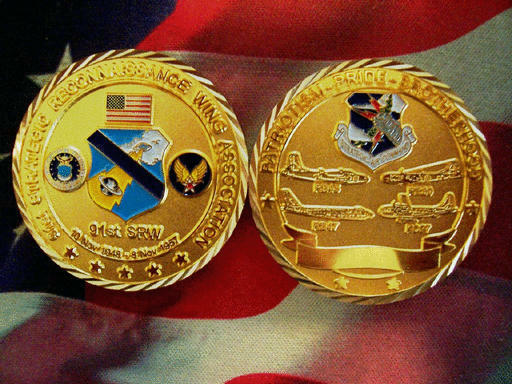 This is the 91st SRWA Challenge Coin. If you would like to Donate any 91st BG memorabilia for the Planes of Fame Air Museum memorial in Chino, CA, such as jackets, uniforms, etc., please let us know. Also, we are looking for a "Silk Escape Map of Europe" to add to the display. We have been donated one map to frame, but would like to have another one in order to show the other side. This is a simple drawing to show the size of the 91st BG wall at the Planes of Fame Air Museum. This will be a First Class display; 100 feet wide and 16 feet high. The display will be able to house most of the memorabilia collected in the past 16 years and tell the story of the 91st BG(H). Keep checking the web page for updates.